Discover the Samsung Galaxy S9’s immersive 5.8 inch Infinity Display, coupled with twin stereo speakers, making this handset perfect for movies, gaming, and music. There's also a 12MP dual pixel camera, packed with special features to ensure perfect photos every time. 2. A one minute minimum call charge applies. Thereafter calls are charged on a per minute basis. 3. Calls & text messages to certain MVNO and call forwarding services are not included in your allowance. A pre call announcement may be heard prior to call connection. See ‘points to note’ for more information. 4. Calls to some charity helplines (e.g. Childline) are free to call and will not be deducted from your allowance. For a full list please visit the ‘help’ section of our website, ee.co.uk. 6. Call charges vary depending on the time of your call as well as other optional selections that you may choose. You will be notified of call costs and have the option to end the call at that point without incurring any charge. Please see our 'non- Standard Service' brochure for further details and for definitions of our "normal working hours" and "extended working hours". 7. Call divert is included in your allowance where the diverted to number would have ordinarily been included in your allowance. 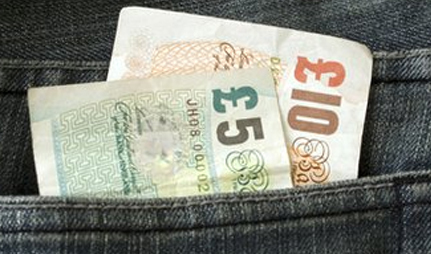 Standard call rates apply to outside of allowance calls. 8. 15GB Fair usage applies abroad. See plan terms above. VoIP and using your phone as a modem or 'tethering' use will be deducted from your inclusive data allowance. Everyone loves a great camera, which is why Samsung have equipped the Galaxy S9 with a superb 12MP Dual Pixel lens. This intelligent camera includes a range of features such as low-light technology, which lets you enjoy stunning shots even after the sun has gone down. Also on board is Optical Image Stabilisation which ensures that your photos are clear, steady, and blur free, even during motion. Video is equally impressive, with Super Slow-Mo footage at an incredible 960fps, letting you see things you never thought you’d notice. If you loved the Infinity Display on the Samsung Galaxy 8, you’ll be pleased to know that the Galaxy S9 still features an all-display front, with a screen size that measures in at an eye-catching 5.8 inches. 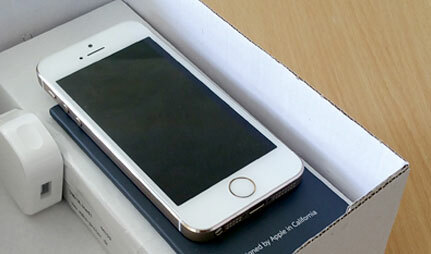 This offers big-screen entertainment without the handset being too heavy or bulky to hold. Whether you’re streaming HD movies or playing the latest blockbuster games on your S9, it’s not just the screen size that’s set to impress. Boost the audio on your favourite content, with dual stereo speakers that offer an immersive experience for your next movie marathon. If you’re looking for power, the Samsung Galaxy S9 has got you covered. With specifications including such features as an octa-core processor and 4GB RAM, you can be sure of a smooth user experience without any annoying lag. There’s also a Micro SD card slot in case you need to give the 64GB on-board storage an expansion. Fans of a long battery life also won’t be disappointed with the Galaxy S9’s 3000mAh battery. Offering wireless fast-charging, you can power up in a hurry without a tangle of wires. 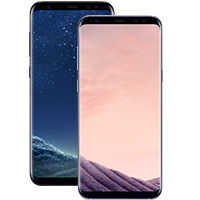 Putting Samsung’s latest flagship handset head-to-head with the previous Galaxy S8, it’s easy to see that both phones are pretty impressive, and fully deserving of their enthusiastic reviews. The specifications of the Galaxy S9, however, do display a collection of improvements and new features. 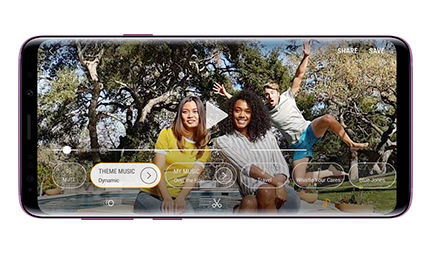 You can enjoy big-screen entertainment on the S8 and S9, with both featuring the 5.8 inch Infinity Display, but the Galaxy S9 has the state-of-the-art sound to back it up, with Dolby Atmos surround sound. The S9’s operating system also includes a bump from Android Nougat to Android Oero in-the-box. 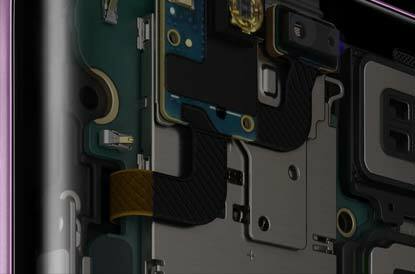 Both the S8 and S9 feature wireless fast-charging, iris scanning security and a water resistant build. 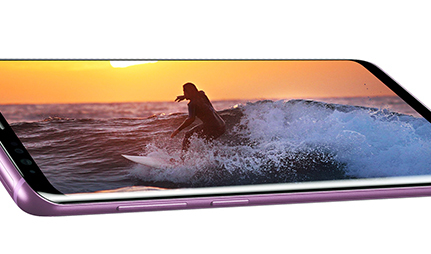 However, Galaxy fans will be happy to hear that the S9 arrives with a new colour selection, debuting a stylish new Lilac Purple along with Coral Blue and Midnight Black. 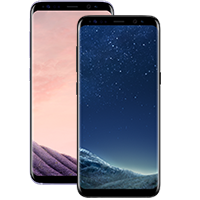 If your time is up on your current contract, why not grab your new Samsung Galaxy S9 as an upgrade, and carry your existing number across? If you're not looking for a contract or upgrade, you can buy your Samsung galaxy S9 SIM free,in one single payment. If you’re looking to save a little extra cash, keep a look out for Samsung Galaxy S9 refurbished deals, which are updated regularly. We keep you updated with the latest news, reviews and trends from the world of tech. 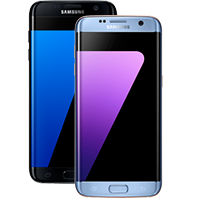 Which Samsung Galaxy Phone Should I Choose? 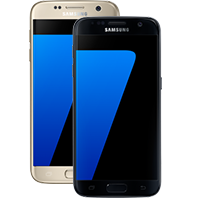 With so many phones in the Samsung Galaxy range, you may feel spoilt for choice. We take a look at the best features. Tempted by the Samsung Galaxy S9 or S9 Plus? We check what they can do by counting down their top 5 features.